There are so many choices for bread in the market. It is difficult to choose the right nutrition bread. Bread not only satisfies our appetite but also dishes are delicious which is made from it. Often when we buy bread we choose bread which is made from wheat. We considered it is healthy and we do have little information about it. While multigrain bread provides many essential nutritional elements. The process to make this bread is almost same which retain all the nutrients. Let us know the nutritional benefits about both bread. Multigrain Bread: Multigrain bread is made from rye, barley, oats and flour. Therefore, it can be a good way to include whole grains in your diet. People’s weight and their cholesterol level remain control that eats multigrain bread. It is full of nutrition and reduces the risk of heart diseases and heart attack. It also gives relief from digestive problems. Moreover, only one or two grains are used in wheat bread. Fiber: Wheat and oat breads has considerable amount of fiber. A piece of multigrain bread provides 4 gram fiber to the body. Fiber provides strength to your body and does not increase weight. Fiber maintains blood pressure and sugar level. You can include rye and quinva bread in your diet. 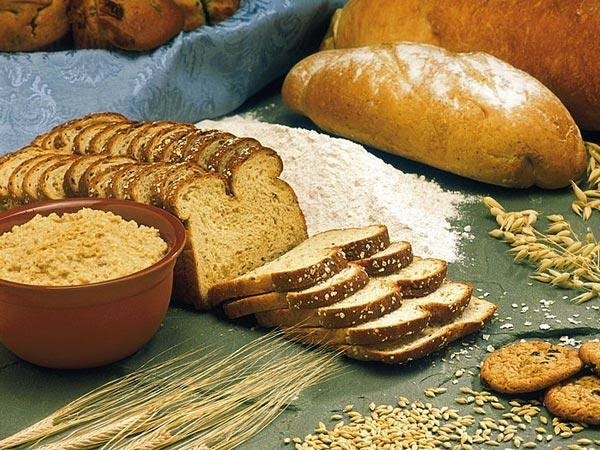 Glycemic Index: The multigrain bread with whole grains has a profitable position in glycemic index. Those who eat multigrain bread they have less risk of diabetes, stroke and cancer. In addition, multigrain bread has phytonutrients antioxidant which prevents your cells free from radical damage. However, it is hard to digest wheat bread and it can increase glucose levels in diabetic patients. Calories: Calorie can be detected from the carbohydrates in calorie bread. There is not much difference in both breads in terms of the calories. However, flour bread has very less cholesterol but it has fiber and carbohydrates which increase calorie level. A piece of multigrain bread contains 69 calories while a piece of wheat bread contains 66 calories. Tips: Read the ingredients label top of the packet while buying a packet of bread. Buy bread which has presence of whole cereal. Some breads in the market has less than 1 gram of fiber. There should be 3 grams of fiber in the bread. Bread must have less amount of other material that could give your body all the nutritional elements.